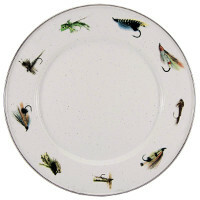 This 8.5 inch enamelware sandwich plate is durable and verry attractive for fly fisherman. 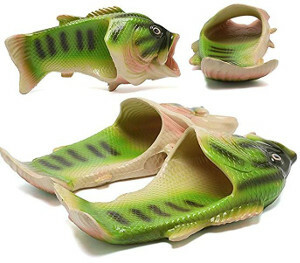 This dishes is oven, stovetop and dishwasher safe. Price is under 15$. 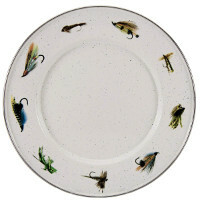 A great 10.5 inch enamelware dinner plate with a beautiful fishing fly pattern. A nice gift for under 25$. 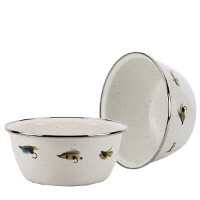 This enamelware salad bowls are 5.5 inch wide x 2 inch deep – also a beautiful birthday gift. Price is under 15$. 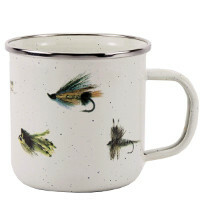 This 12 ounce enamelware mug has a 4 inch diameter and is 3.5 inches tall and cost under 20$. 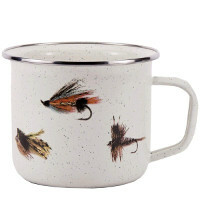 This 24 ounce enamelware soup mug has a 6 inch diameter and is 6 inch tall. 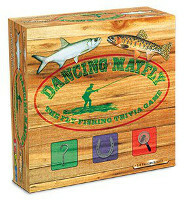 All Parts of this fly fishing collection are oven, stovetop and dishwasher safe but not intended for microwave. The price is under 20$. 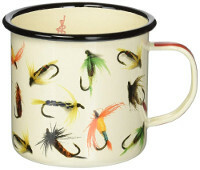 Flyfishers will enjoy this cute cup. 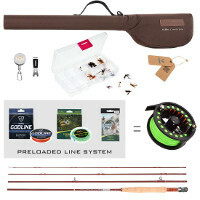 Also great for backpacking, camping or any other traveling and outdoor activities – under 15$.